We love playing on the Unibet poker app. It is one of the easiest apps to use as well as providing one of the best mobile poker experiences. Unibet are a worldwide gambling brand with a great reputation across Europe. 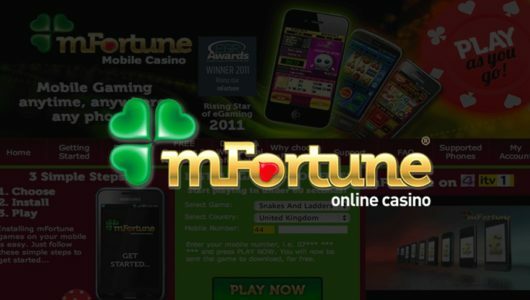 Unibet’s initial mobile poker offers were presented on the Microgaming Poker Network, MPN. 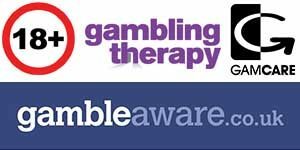 However, they didn’t seem too happy with this, so they commissioned and launched their own mobile poker app back in 2014. The Unibet mobile poker app stands out because of its stellar quality. This is the reason it was initially available only for a select number of devices since the app’s superior graphics can only be supported by the latest versions of iOS and Android. New customer to Unibet poker? Well join today at www.unibet.com/poker and you may be eligible for a new player bonus! Unibet normally have lots of exciting offers for both new and existing players so it is well worth checking out the mobile site and website. Android users – Downloading the app is very straightforward. You do need to have a Unibet account before you can log in and play. To get your account, head on over to www.unibet.com/poker click on the SIGN UP NOW button and create your account. Once you have done that, click the main menu on the left and scroll to Apps. In here you can find the Unibet Poker Android app. Click on download and an APK file (called UnibetPoker.apk) will begin to download. Now the file is large so be patient while it gets to your device. Once downloaded, slide down the top menu, click on the file and press install. The app will now install and you can then find and launch the app, then log in with the account details you got earlier on. It doesn’t matter what make of Android you use, this process will work for all HTC, Nokia, LG, Samsung, One plus and any other models. iPhone & iPad users – There is a poker app from Unibet available in iTunes. So join on the mobile site, head to apps in the menu and click the iTunes link to go straight to the app. Join here – www.unibet.com/poker for your log in details. Unibet only support a downloadable app. They do not offer a HTML5 variation yet so Windows mobile users can not use Unibet poker currently. Sorry…….maybe ask the Mrs for a Samsung or treat yourself? Anyway the app is very good and we think any player will enjoy using it. 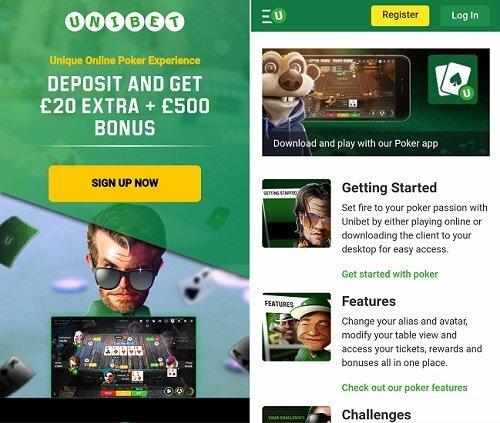 Why play on the Unibet Poker app? 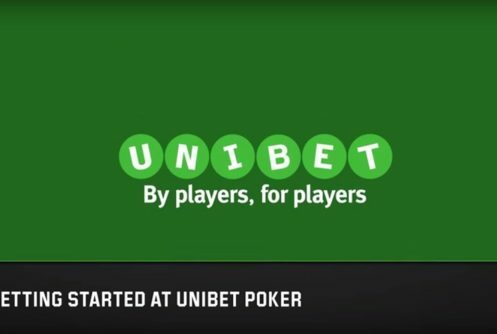 If you are new to the poker scene, Unibet may not be one of the rooms that may come to mind straight away. Well they should! 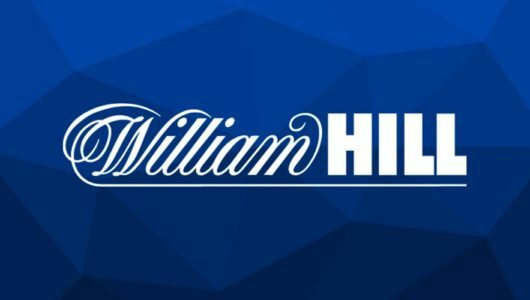 They are a very reputable bookie and have spent a huge amount of money and time developing their own poker app. Because they have designed and built it themselves, they have been able to add a few nice features that you won’t get on other poker apps. Unibet have a very good, loyal pool of players and most of them will play because they use Unibet for sports betting. What does this mean? Well the level of competition on the app will be quite low as they are not dedicated poker players, looking to play on a dedicated poker site like say PokerStars. The Unibet poker app lets you enjoy regularly-updated missions and promotions that are all available in app and also on the desktop version. Every month, Unibet poker give you the chance to earn real cash prizes by completing poker missions in various game types. These missions are great value for money and are an ideal way to explore different areas of Unibet Poker to find the game which suits you most. The missions are fun and definitely worth doing. They range from simple tasks such as changing the background of a table to winning a tournament. The more that you work through and play, the more cool features you will unlock. They are really fun to play and an excellent way to get some free cash and bonuses. If you are worried about players getting an unfair advantage when playing online, well you don’t need to over at Unibet. There is no access to any poker player database software and heads-up displays are not available for use with Unibet Poker. This means that as a player, you happily play safe in the knowledge that your opponents are not gaining an unfair advantage against you. The quick-seat cash game lobby also ensures that all players are seated randomly so there is no way players can sit next to each other to try and gain an edge. As you can see from the screenshots above, the app looks really classy and we found ourselves really enjoying it. The app is regularly updated to improve safety, games and speed. Each update brings new features such as new promotions and other improvements. We have to say that we are very impressed with how the Unibet Android poker app and iOS variant look and perform. Developing their own platform has worked very well for them as it is always a big risk not use tried and trusted software. Launch the app and log in for the first time and you can see the well laid out lobby. The app does support fingerprint log in which is essential to save time getting to the table, this is available on both Android & iPhone/iPad. The lobby is simple, well laid out and most importantly, easy to navigate around. You can narrow your game choice down by cash games, sit & go or by tournament. There is a menu located on the left, most of these options take you away from the app and to Unibet’s site so it’s best to keep away from these unless you need them. You can change settings on the app and choose deck colour, the option to display avatars and a few other handy options. 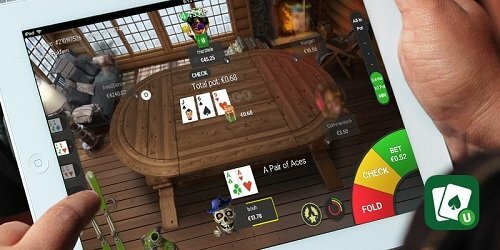 It is one of the most customisable real money poker apps on the market and is a welcome change from some of the drab looking apps offered by competitors. The first time you log in to the app, you can select your avatar from a big pretty cool list (See below) You can choose your username and have up to 4 different identities on the app. You can actually change your identity as well as your avatar up to three times a day. This is good so your opponents would never know when or if you’re playing. You may have beat them before and they would never know! If we are being a tad picky, we would rather play on a phablet or a tablet, or at least a large screen phone as the text can be quite small on smaller screened devices. Depositing and withdrawing is all done via the cashier which is in the top right of the app. You can also view your balance here too. One of the best features on the app, apart from the actual games, is the tables. They are some of the best we have seen and you can choose from 10 different, cool and funky designs. While this may not be essential to game play, it certainly adds to the overall feel of the app and we like it a lot. You don’t want to sit there for a few hours looking at dull boring tables that’s for sure. If you are waiting for a tournament to start and have a spare 30 minutes, why not check out the casino. You can play on Unibet’s full suite of games direct from the app. There are loads of games to choose from including slots and table games. The games are really fun and you can play using your same Unibet log in details. There are lots pf games to choose from that come from a wide variety of games developers, some you may be familiar with. Unibet are always adding new games too so it is well worth checking out if you do like a dabble in the casino. Unibet are one of the many poker providers to offer several poker game variations and most are available on the app. 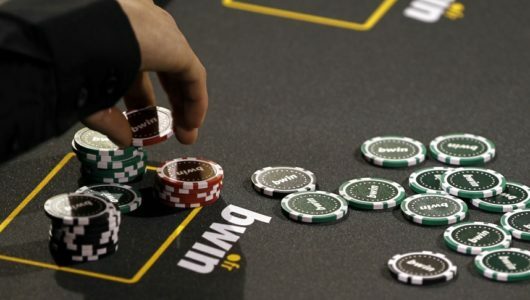 You can play cash games including Texas Hold’em, Omaha, Banzai Texas and Banzai Omaha. Buy ins are very reasonable and start from $1/€1. Click on the game you want to play and the menu on the right show the buy in and also how many players are currently playing/available. Sit & Go games are available on the Unibet poker app and you can choose between 5 or 2 seat. There is normally a good number of players around on the app so you shouldn’t have to wait for too long to get a full table. Find your buy in, click join table underneath and you will then be auto seated. Tournaments are also available to play at Unibet poker. You can see the full schedule or see games happening soon. Tournaments get there own lobby on the app and you can see a massive list of up coming games and also register for the, See prize pool, buy in cost, number of players/available seats, speed and also a handy level indicator. Visa, Visa Electron, MasterCard. Solo, Switch and Maestro, EntroPay, PayPal, PaySafeCard, bank transfer, Neteller and Skrill. Minimum deposit is £5 on card and £10 with PayPal. Withdrawals are handled in a timely manor and can take from 48 hours up to 5 days. Maximum withdrawal is £10,000 by card and unlimited by BACS. Unibet normally poker run a new customer offer and you can see if it is available when you sign up to Unibet poker at www.unibet.com/poker Promotions and offers change all of the time so please see the website to get up to the minute deals and promotions. There are regular offers for new and existing players and they are always well worth checking out. There are lots of other Android handsets and tablets that the Android variant of Unibet poker will run on, too many that we couldn’t list them all. Try download the app and see if you can play, if you can, then great! If not, maybe it’s time you got anew phone as you don’t know what you are missing! Overall, we love the poker app from Unibet. We like that it is different from other apps out there. We have always found competition levels good and can recorded this app to newbies and more experienced players. Try it out today and see what you think.